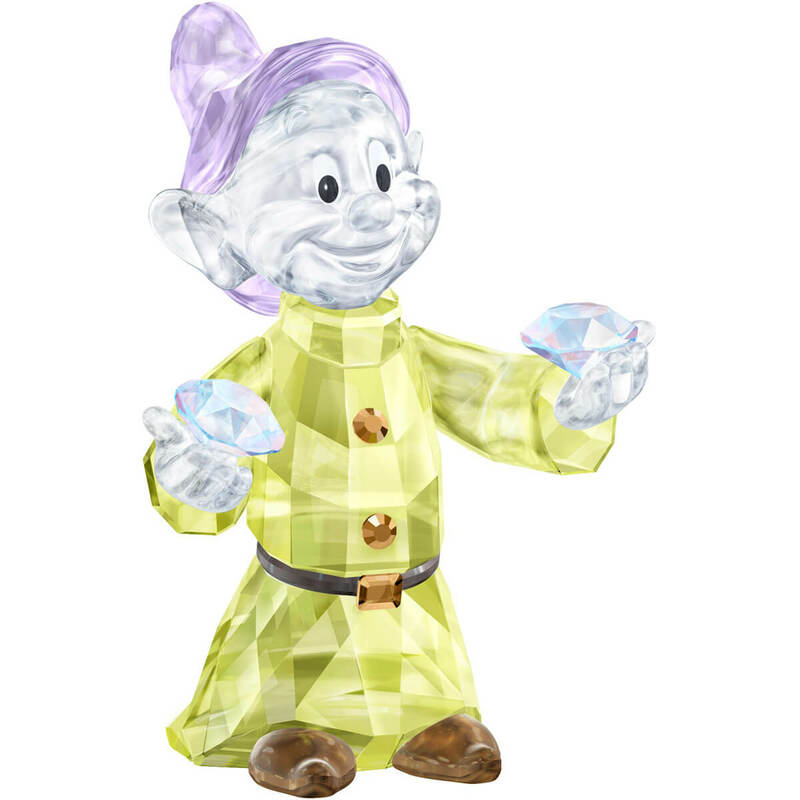 Add a little fairytale magic to your collection with Swarovski's first ever full-color Dopey, the lovable character from the Disney movie Snow White and the Seven Dwarfs. Showing Swarovski's renowned artistry, his 399 facets sparkle in a dreamy array of crystal colors, including a green coat and a violet hat. Detailed and authentic, this is a must-have piece for collectors and Disney fans.